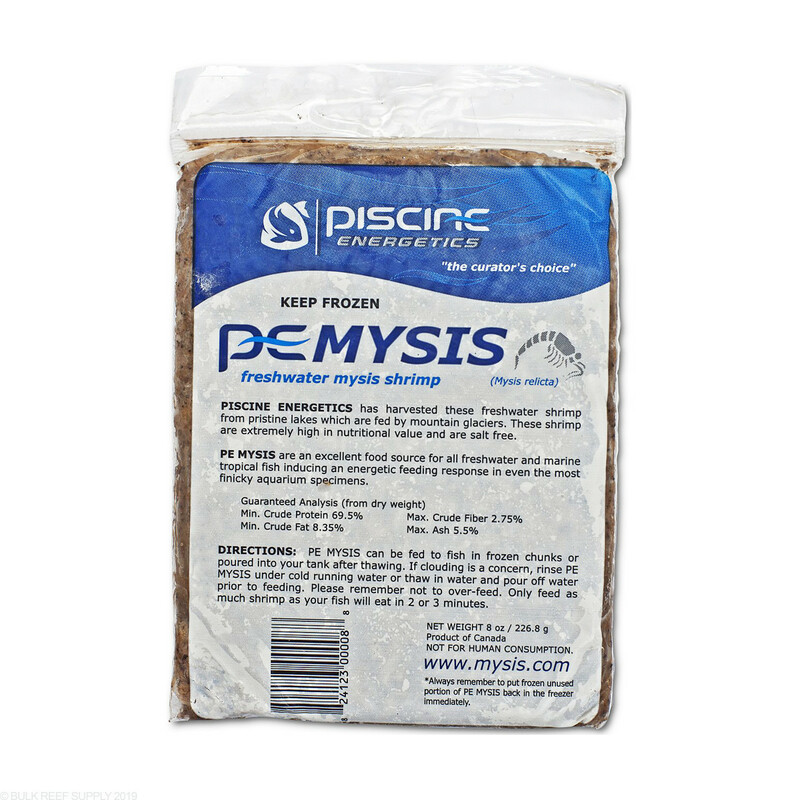 PE Mysis has proven to be one of the best foods for saltwater fish. The mysis are sustainably harvested at night, processed and then flash-frozen within hours of being caught. 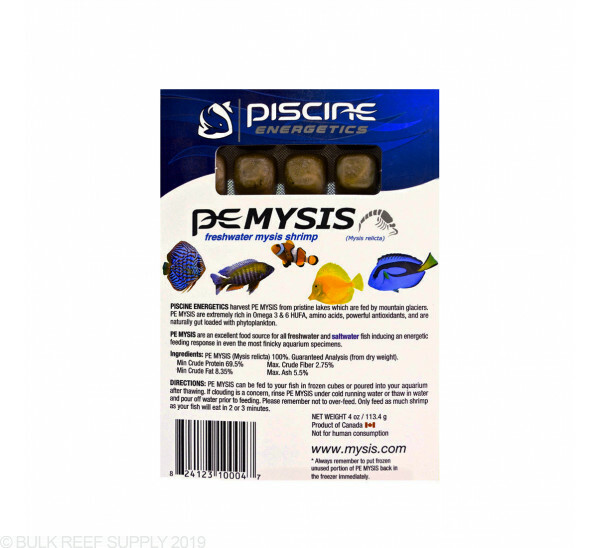 The mysis are packaged whole preserving their nutritional value within the shrimp. 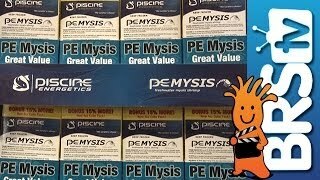 Once you use PE Mysis Shrimp, you will know why it is always highly recommended by experienced aquarists. 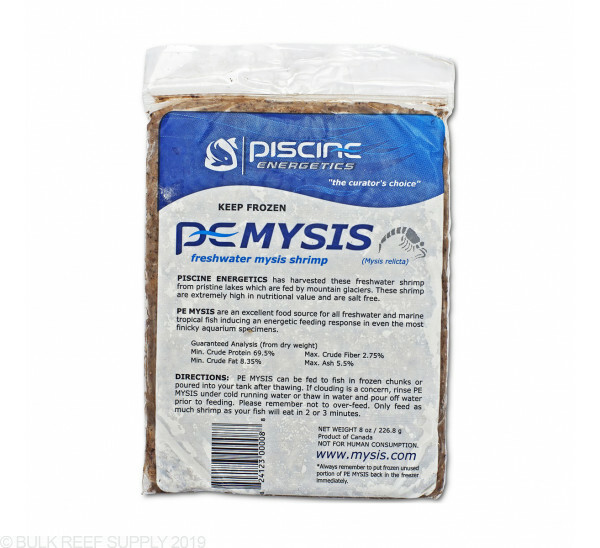 PE Mysis Shrimp is harvested from a glacier-fed Lake Okanagan. By far the best food for your fish. 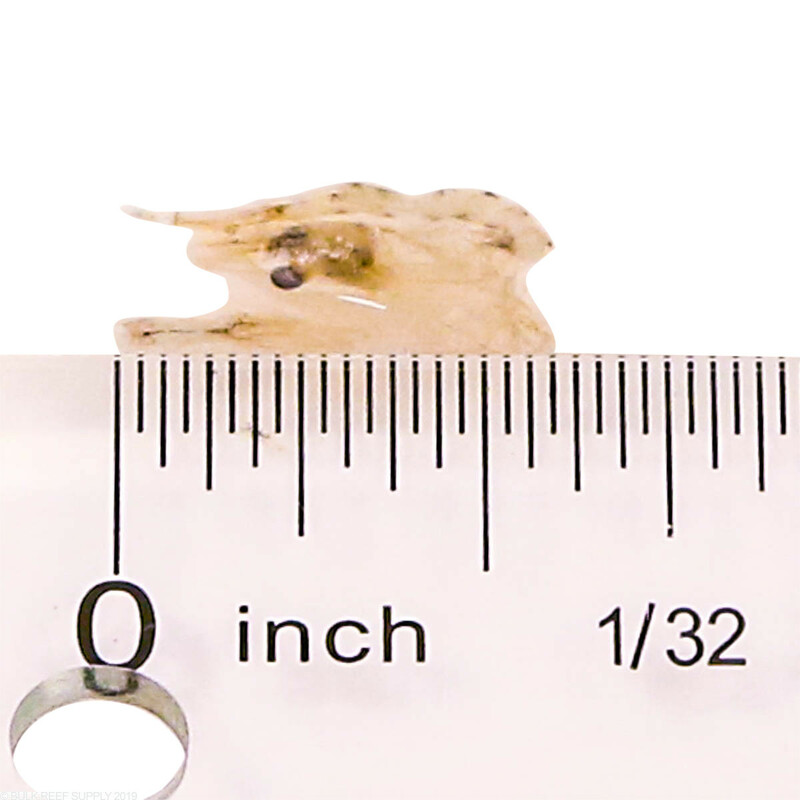 The shrimp are large and varied in size when compared to other brands. They always arrive from BRS in sub-zero condition. I get ravenous feeding responses far faster with this than any other mysis. Even the tangs and Rabbitfish go nuts (yes I supplement Nori). I do wish it cost a little bit less but what are you going to do. I have a mixed tank of tangs, pygmy angels, a sweetlips, clowns, cardinal, damsels and fire fish along with LPS corals. Several months ago, My LFS guy said I should give this and the Calanus a try as he was very pleased with the results. So I did and I am very happy with the product. I feed a cube of this in the morning and then one at night with the Calanus. I love the fact that the shrimp looks very fresh and the fish absolutely devour it. I believe there color is brighter, and have noticed a slight increase in their size as well, especially the sweetlips. 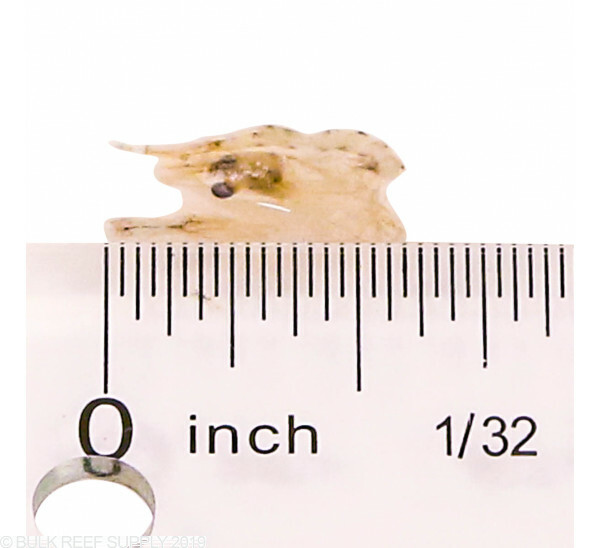 There is no cloudiness associated and there is less waste because the pieces are whole. The LPS also become very active with the Calanus and there color and grow rate has improved since I stopped using cyclops. I docked one star because it is expensive. I buy the twin pack for $27. Highly recommend. We sure do! 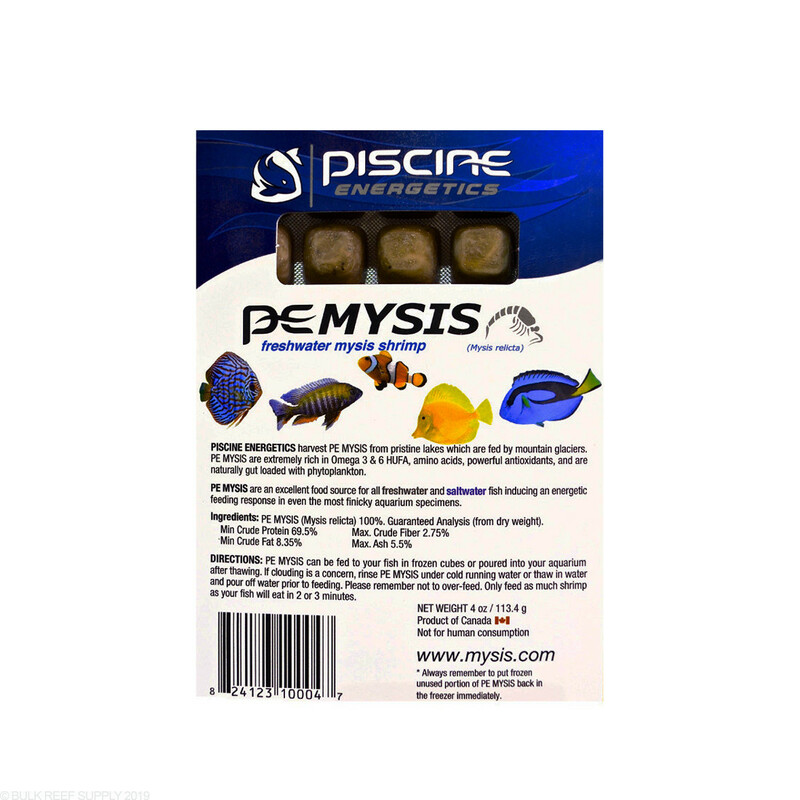 They're listed on the same page as the Frozen Mysis Blister Pack, sku 210260.